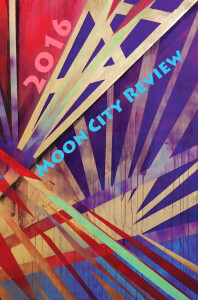 Moon City Review 2016 Has Arrived! 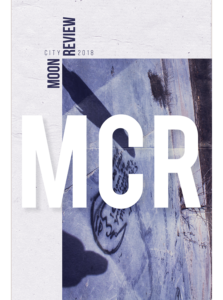 Moon City Review 2016 is here! 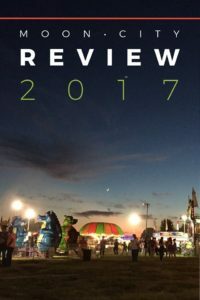 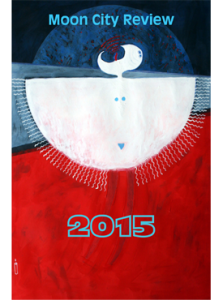 The 2016 edition features work by BJ Best, Sarah Browning, Jim Daniels, Nandini Dhar, Sean Thomas Dougherty, Laura Hendrix Ezell, Jeannine Hall Gailey, Mark Irwin, Sandra Marchetti, Lee Ann Roripaugh, William Trowbridge, and many, many more writers.